Available in both Mild & 304 Stainless steel, foot operated and manually operated . 100 dia Grey rubber castors are standard on the stainless steel range and a 4 colour waterproof lid sticker set for bag identification. 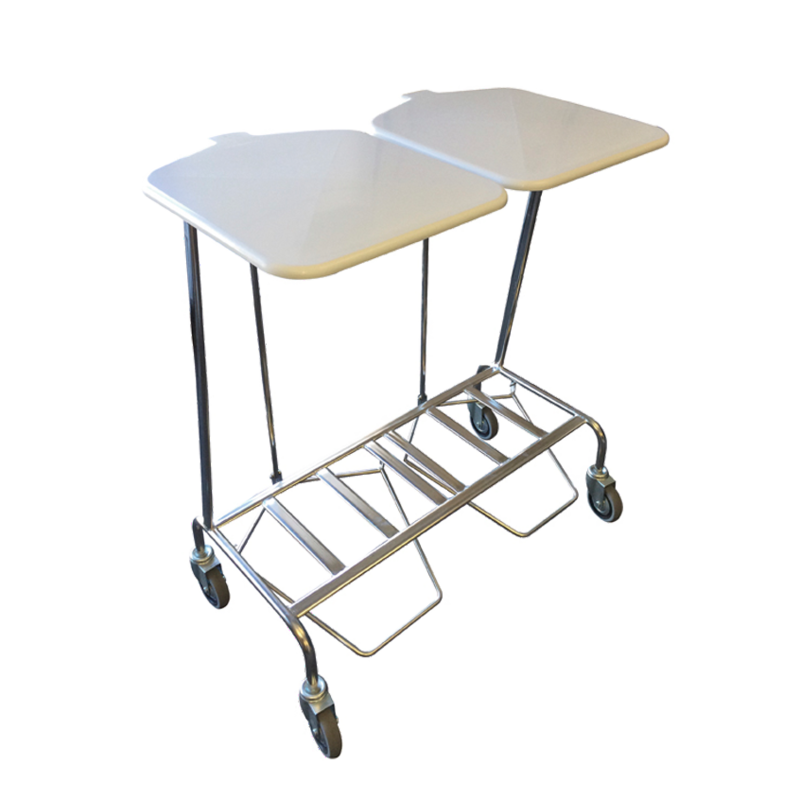 Epoxy coated surfaces on the mild steel models and high electro-polished finish on 304 stainless series for easy cleaning and maximum durability. Corner buffer option is available to protect your asset and the building along with a range of linen bags.